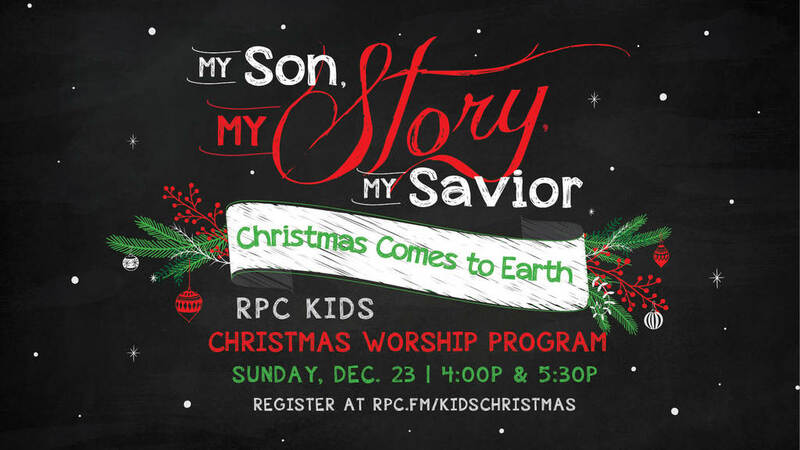 RPC children will present “My Son. My Story. My Savior- Christmas Comes to Earth,” on Sunday at 4pm and 5:30pm. Join us as we experience the beauty of Christmas through the eyes of Mary, Joseph, and other key participants in the TRUE Christmas story.